We have worked in the carpet & rug care industry since 1999 helping to improve industry standards and offering a specialist rug care service to other carpet cleaning companies in the London area. For years the specialist rug care industry has been near non-existent in the UK with the availability of the correct machinery to carry out safe and effective cleaning seriously lacking behind other parts of the world. After working at some of the largest specialist rug cleaning plants in the USA we decided to invest in importing the necessary specialist machinery to open the UK’s most advanced rug cleaning facility. This meant that major issues such as dry soil removal and drying times could be addressed and solved. We can now boast the safest and most effective rug care service in the country with carpets being sent to us from all over the UK. 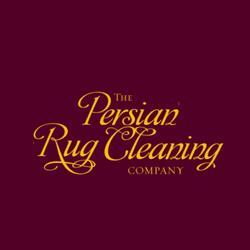 We are London’s only rug care specialists! Professional cleaning of Persian rugs requires in-depth knowledge of different types of weave, colour fastness and dye bleed, fringe detailing, and moth/mould damage prevention. We are the most highly qualified rug cleaning specialists in the UK with ‘IICRC Rug Cleaning’ certification studied for and passed in Florida, U.S.A., ‘IICRC Upholstery & Fabric Cleaning’ certification, and full National Carpet Cleaners Association membership.